Psychologists study the human mind from a scientific viewpoint to help people understand and change their behavior. Types of psychologists include clinical, counseling, school, and industrial-organizational. 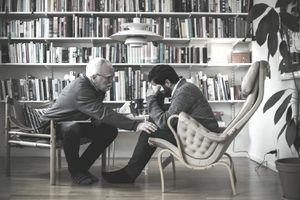 Clinical or counseling psychologists assess individuals to diagnose their mental, emotional and behavioral disorders and then treat them using a variety of techniques, including cognitive behavioral therapy (CBT). School psychologists focus on education-related issues, and industrial-organizational psychologists apply psychological principles to workplace problems. Provide assessment and recommendations for appropriate treatments. Diagnose and treat various mental, emotional, and behavioral disorders. Review relevant literature, synthesize evidence-based materials, and translate complex behavioral health concepts. Conduct case management and other administrative tasks as needed. Provide referral services to outside therapists, clinics, and treatment facilities. Participate in off-hours call rotation. Assess, score assessments, and attend eligible/individualized education program (IEP) meetings. Plan and provide clear and intentional-focused instruction based on individual student IEP goals using state standards, subject matter content, and district curriculum. Consult with staff and parents, making recommendations for developmentally appropriate services and strategies to assist in improving student achievement. Act as a liaison with community agencies that provide services to children. Provide behavior consultation for students by designing and implementing measurable behavior interventions. Provide psychological services as related service per student's IEP. Establish effective client relationships to provide optimal client solutions. Manage the development of innovative human capital research projects. Clinical and counseling psychologists: A bachelor's degree in psychology or a related field is the first step toward becoming a psychologist. The Bureau of Labor Statistics reports that most clinical and counseling psychologists require an advanced degree, such as a master's or Doctor of Philosophy (Ph.D.) degree, from a training program that is accredited by the American Psychological Association (APA). All states typically require a license. The Association of State and Provincial Psychology Board (ASPPB) provides individual state licensing requirements. Note that in some areas of the United States, you can practice with only a master's degree but often must work under the supervision of a doctoral level psychologist. School psychologists: Many states also license school psychologists, however, education requirements may vary. For example, a state may require you to have a master's degree, a doctorate, or a professional diploma in school psychology. It is important to check the licensing requirements in your state to determine the type of degree you need to pursue. Industrial and organizational psychologists: There are very limited job opportunities for industrial and organizational psychologists holding only a bachelor’s degree; therefore, the majority will need to pursue advanced degrees. Those with a master’s degree can obtain an entry-level position in this area, while those with a doctorate degree will likely be considered for additional employment opportunities, which gives them an advantage over the competition. Depending on the degree, classes may cover neuropsychology, ethics, social psychology, psychopathology, psychotherapy, statistics, and research design. Students also spend time getting practical experience. In clinical psychology programs, for example, students do internships and externships where they treat clients under the supervision of licensed practitioners. In clinical, counseling, school, or health services, you will likely need to complete a one-year internship as part of your doctoral program. Psychology.org provides comprehensive, detailed information on the requirements for pursuing different psychology careers. Interpersonal skills: Because this career is about studying and helping individuals, you will need to have strong interpersonal skills, meaning that you will need to relate well to people. Communication skills: Professionals whose work involves talking and listening to clients must have excellent verbal communication and active listening skills. Patience: Treatment takes a lot of time. Therefore, you will need a lot of patience to see treatment through to its conclusion. Trustworthiness: A psychologist must be trustworthy, as they are expected to keep patient information confidential. Empathy: You must have the ability to understand and identify with another person's experiences to help them understand the cause of their feelings. Critical thinking skills: A psychologist must have strong critical thinking skills to determine an accurate diagnosis and develop a proper treatment plan. The U.S. Bureau of Labor Statistics has given school, clinical, counseling, and industrial-organizational psychology the "bright outlook" designation because of those occupations' excellent job outlook. The agency predicts that employment for each of these areas of specialization will grow much faster than the average for all occupations through 2026. Elementary and secondary schools employ school psychologists. Industrial-organizational psychologists work in business settings. About a third of clinical and counseling psychologists are self-employed. Others worked in hospitals, clinics, rehabilitation facilities, and mental health centers. Most who work in this field hold full-time positions, but part-time work is possible, especially in private practices. Because clinical psychologists must be available when their clients aren't working, many have office hours in the evenings and on weekends. School psychologists' hours are during school hours. Industrial-organizational psychologists work during regular business hours. For many professions, including psychology, popular job boards include Monster, Indeed, and Glassdoor. These sites also provide tips on resume and cover letter writing, as well as interview techniques. The APA's career site psycCareers advertises jobs specifically geared toward the psychology industry. iHireSchool Administrators advertises school psychology jobs, and the Society for Industrial and Organizational Psychology (SIOP) provides job listings for psychologists who wish to work in a business environment. Join industry-specific organizations such as the American Counseling Association (ACA) and the American Psychological Association (APA). These organizations provide networking opportunities, which can lead to a career in the industry.